Many authors have a theme running through their works. The importance of family, the ultimate quest for something, well…questworthy; how good always triumphs over evil. Themes are wonderful; you can build on them and explore them in many ways. In First Impressions, family Med Doc Clarissa Rogers has a not-too-positive opinion of local veterinarian Padric Cleary. She’s heard everyone from his twin sister to her own office staff label Pat as a player. This is not the type of man she wants to be associated with. From these descriptions, she bills him as shallow and superficial. All that changes when Pat helps her through one of the worst days of her life. She sees him as a kind and caring man, honest, truthful and far, far from shallow. His concern for her is heartfelt and she responds to it as she’s done with no other man. 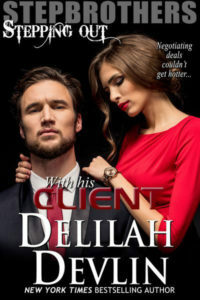 When a situation arises that seems to prove everything she’d heard about him was in fact true, their relationship takes a 180 degree turn backward. 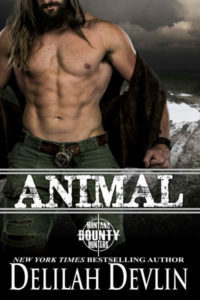 But, because this is a romance novel, you can guess how it ends. Pat and Clarissa’s journey and growth, though, are the most important facets of the book. 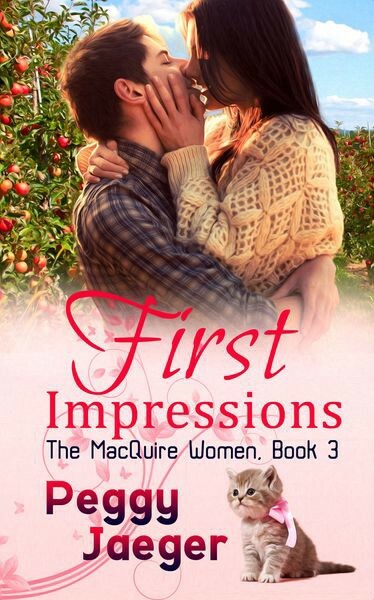 Now, another interesting fact behind why I titled the book what I did is this: Pride and Prejudice – my all time number 1 favorite romance novel – had as its original title, First Impressions. For those of you familiar with Pride and Prejudice you can see why Jane Austen called it that. Lizzy Bennett’s first impression of Darcy is that he is vain, pompous and arrogant, unconcerned with his fellow man and a snob. We all know how her opinion changes when Darcy shows Lizzy the true man he is during the Lydia/Wickham scandal. I would never be so bold as to compare Clarissa & Pat to Elizabeth & Darcy. But both couples do share similar experiences with trust and being judgmental. Both books have strong, independent-thinking women as their protagonists, and both require the hero and heroine to go through a few mis-steps before stepping into one another’s lives forever. I will admit this freely – I don’t usually make a good first impression when people meet me. I’m socially awkward and I tend to back away from a group and observe before I ever put myself into the mix. This has the tendency for people who don’t know me to think I am either excessively snobbish, rude or shy – none of which I am. Well, okay, I’ll give you rude -SOMETIMES! But first impressions are usually, in my observation, wrong. We need to really get to know people before we ever assume anything about them. That old book and cover saw drifts back to my mind frequently. So, if we were to meet, what do you think my first impression of you would be? “Have you ever been friends with a girl before?” she finally asked.